The front-to-rear silhouette seams of the cover are sewn with 500 candle-power reflective welting to help increase nighttime safety. Reflective welting can be added to any custom cover except Form-Fit. Reflective piping now available for all pattern covers (except Form-Fit). The piping is sewn in the front-to-rear silhouette seam for added night-time safety. This clever option gives 500 candle power brightness providing night time safety. Custom covers can be manufactured with this illumination option, making your cover unique. This not only creates a new dimension to your cover, but also looks great and is more visible after dark. 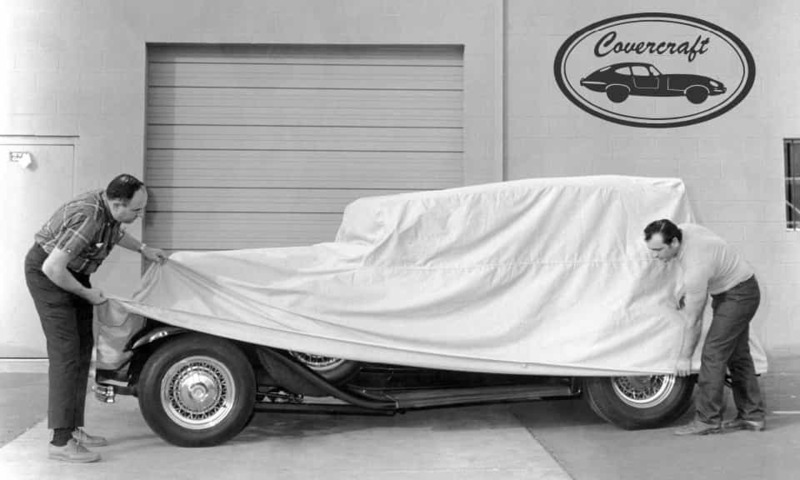 This option is perfect for any car, truck or SUV custom cover. As with all Covercraft covers, the seams are overlapped and double-stitched, Neoprene elastic is sewn into the front and rear hems and non-scratch tie-down grommets are supplied. Reflective welting is sewn in along the front-to-rear silhouette seams of your vehicle cover.